Gaza terrorists attacked the Western Negev Wednesday morning with a Kassam rocket before workers arrived, but it heavily damaged a packing house that was knocked out of operation. Workers who had not yet arrived at work remained in their homes in the Sdot Negev area, south of Ashkelon. The explosion occurred around 4 a.m., seconds after the Color Red early-warning system shattered pre-dawn silence. The latest attack returned residents to the trauma of the constant spate of missiles explosions that have plagued Negev residents since the outbreak of the Second Intifada, also known as the Oslo War, in 2000. 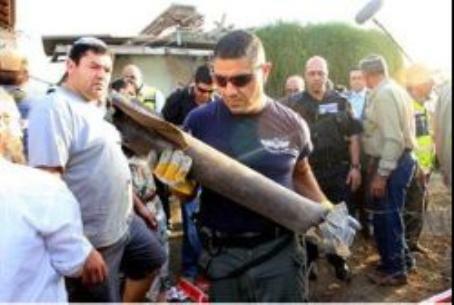 No terrorist organization has taken responsibility for Wednesday’s rocket strike. Many of the packing house workers hurried to synagogue to recite the traditional prayer for their lives being saved from danger. Last year’s Operation Cast Lead war against the terrorist infrastructure in Hamas-run Gaza severely reduced the number of attacks, but Hamas and allied terrorist groups have violated a number of declared ceasefire announcements. More than 300 rockets and mortars have struck the Western Negev since the end of Cast Lead, and most of the attacks have been immediately followed by an IDF retaliatory strike. Most of the rockets have exploded in open fields, allowing a relatively calm atmosphere in foreign and mainstream Israeli media that ignore a large number of the terrorist attacks when no one is injured. One major foreign news service reported this week that the Negev area has been "quiet" since the end of Cast Lead.